I love lattes. It could be a skinny vanilla latte or a creamy caramel version. But, I can't swallow paying $5 for these delicious coffee treats.With the Epica Electronic Milk Frother & Heater Carafe, I can enjoy my beloved coffee drinks anytime I want without the big price tag. 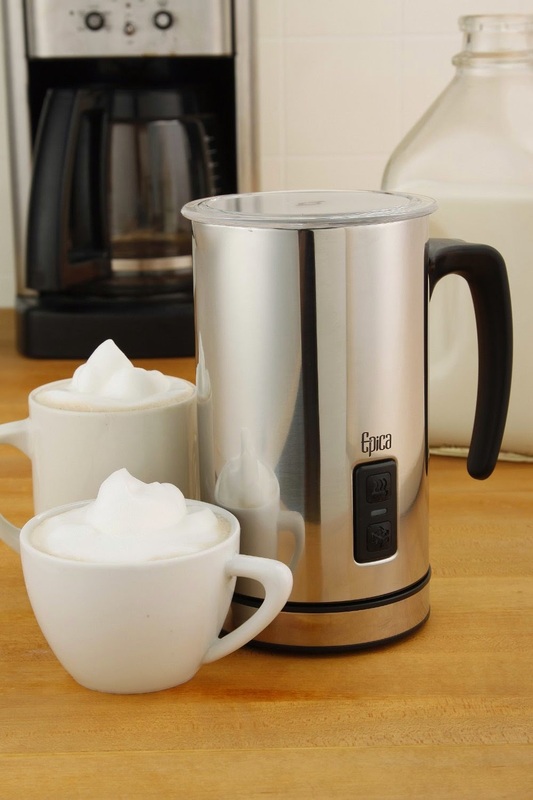 The Epica Electronic Milk Frother creates barrista quality drinks at home. This electronic device creates both hot and cold milk froth with a push of a button. With three settings, you control the type of froth. Options include hot froth, cold froth and hot milk. To impress with a topping on a delicate dessert to your morning caffeine fix, this device covers it all. Plus, non-dairy options, like soy and almond milk, work too. Personally, I like to combine a little half and half with my skim milk for a special treat. The hearty froth makes for a silky, smooth decadent taste. This device is stainless steel with vacuum insulation. This aspect helps maintain a constant temperature. The stainless steel material is easy to clean and long lasting. With a detachable carafe, pouring at the table is simple and easy. 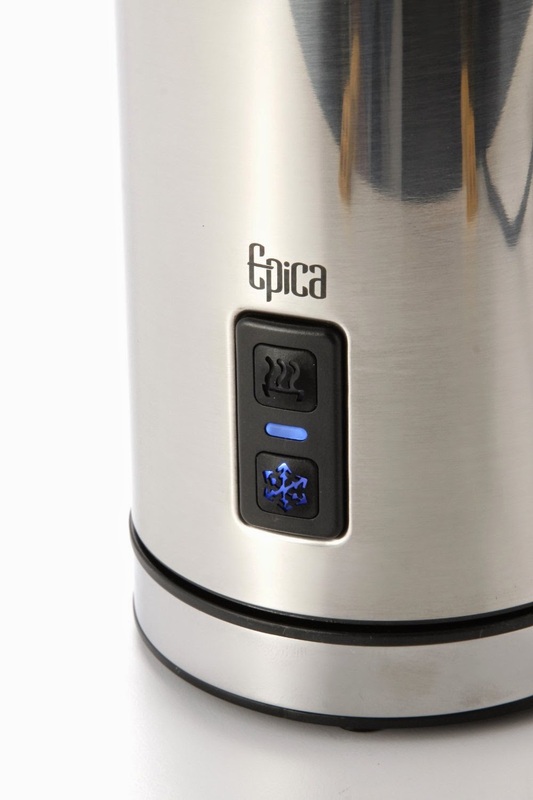 The Epica Electronic Milk Frother can be purchased at Amazon.com currently for under $40. After just a few beverages or desserts, the cost is savings goes directly into your pocket. Add the Epica Electronic Milk Frother to your must have list and everyone will be coming to your house for a barrista worthy beverage. This is an amazing product to help me make Lattes at home. I will have to take a look at this product.